The myths that we have been told or that we tell ourselves. Basically, this is about what leadership isn’t! The Myth of Position – It’s not about being the boss. We tell our selves that we can’t do much since we are not at the top. This is not totally accurate. We have limits to our authority, but not to our influence. We influence others no matter were we are in the organizational chart. I prefer to think that an organizational chart as overlapping circles rather than lines, boxes, and grids. Leadership is not POWER. The Myth of Destination – It’s not about waiting until when we get to the position of authority. Leaders are not born, leaders are developed. This development of skills doesn’t happen in a day (I.e., the day of arriving at the place of authority) leadership develops daily. Continuing improvement is the pattern to model. It’s typically thought that a person can’t lead from any position. We can lead from any position. We influence others no matter where we are on the chart. 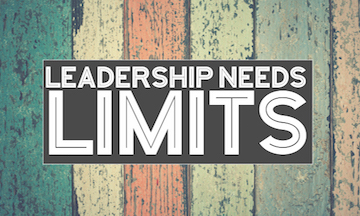 The perception that achieving a high leadership position means that there is more freedom at the top. That’s not true. Actually, responsibilities increase as the job level increases. The old saying that the grass is greener on the other side of the fence is true. It’s only greener until you get there. Leadership is not TITLE. The Myth of Inexperience – Perfection paralysis keeps good people from becoming high achievers. Actually, perfect is the enemy of good. Let go of control and just be. The “I get the job or I’m not playing” isn’t the best plan either. Leaders influence others by choice – either good or bad. It’s a choice. Leadership is not PERFECTION. The Skills Myth – Leaders are not born with natural abilities. Leaders are created. Leaders are trained. Leaders are people who learn leadership. Those who claim natural leadership powers are those who are just bossy. Leadership is not a BIRTHRIGHT. The Myth of Potential – Not performing as good as possible because promotion to a top position doesn’t appear to be possible is not a good plan. Always seek to grow personally and employ best skills and practices no matter what others do or what others think encourage. Be the best possible leader no matter what. Leadership is not STATIC.